We always hide the extension cords and make sure that everything looks great. Our job is done into your home is one of the most beautiful lawns on the block. We will never charge you more than the estimated price without prior consultation, and will always promise to operate with integrity was on your premises. We offer pricing that gives us some of the best value of any Christmas lighting company in Tulsa. We promise to always offer competitive prices that are backed up by a quality that cannot be matched. All of our jobs are professionally installed with aesthetics in mind. 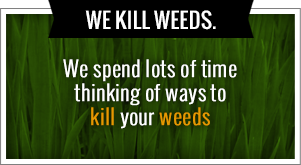 If you would also like more information about Green Leaf Lawn’s year-round lawn care services, visit our website at www.greenleafweedcontrol.com. We take pride in our work and we promise to give you a great holiday season starting with the beauty that surrounds your home. Our website is there for your convenience. We offer professional Christmas light installation and Tulsa Christmas Lights services for the people of this great city. If you’re looking for services for your home and business located in Tulsa, we are the clear and simple choice. No matter what part of town you live in, we can offer you a complete, Tulsa Christmas Lights service. This service includes estimates, installation, removal, and storage. There are many reasons to hire us and in this article I will be discussing just a few of them. Be sure and give us a call today to set up a free consultation at 918-640-6405. We design our lives using a variety of colors and incandescent bulbs to make sure that you have a beautiful holiday display. Our training is rigorous and we make sure that our employees know what they’re doing before they are ever on your premises. We also assist in the takedown process and do it as quickly and as well as we can. Whenever you want expert services for all of your Tulsa Holiday Lights and Tulsa Christmas Lights needs, it’s time to call Green Leaf Lawn. We have been hanging lights in the city of Tulsa for many years and we have over 10 years of experience when it comes to lawn care for your home and lawn needs. We know exactly what we are doing and were going to get it right the first time see you can start enjoy your holidays no matter what time of year. It’s easier than ever to get your home looking beautiful the matter what time of year with Green Leaf Lawn on your side. Another way Green Leaf Lawn sets itself apart from all the competition the area is by donating to the school districts in Tulsa every time we start a completely new job. We call this program “Cutting for the Kids” and it allows us to donate to school districts of our customers choosing whenever they hire us for their lawn care and Tulsa Christmas Lights needs. We love getting back to the community and this is one of the most important parts of our business. We promise to always operate with integrity and make sure that the school districts our community are supported like never before. Now the holidays are rapidly approaching, it’s time to consider having the professionals at Green Leaf Lawn install your Tulsa Christmas Lights displays on your property. It’s one of the most wonderful times of the year and we can help your home with a little extra cheer. If you have a design in mind that you want for your home this holiday season, call the experts today at Green Leaf Lawn for a quick and free quote about how we can make your dreams a reality. Our team of professional installers were meet with you and design the perfect winter wonderland for your home. We will install your holiday decorations, take them down, and even store them for you until next year. All of our LED lighting is commercial grade, top quality, and it is insured to keep your home safe. Now’s the time to pick up the phone and dial 918-640-6405 to speak with the professionals, Jamie Nix and Josh Mathias, about how to get the very best Tulsa Christmas Lights for your property. You can also visit our website to learn more about all of the different services our company offers to make sure that your home and lawn look great throughout the year. Don’t let your neighbors show you out this year with having lackluster displays on your property. You can have the house that everyone is in yourself with our brilliant holiday lights displays brought to you by Green Leaf Lawn. If your holiday lighting collection includes three strings of icicle lights and one string of red and green, well that’s kind of sad. Why would we want to light up your whole home? This is your castle and the place where you put your heart into in where your family resides, you should celebrate your home this holiday season with an expert touch provided by the professional Tulsa Christmas Lights installers at Green Leaf Lawn. Not only do we provide Tulsa Christmas Lights installation for people in Tulsa, Oklahoma, but we also do year-round services for lawncare needs for the citizens of this beautiful city. 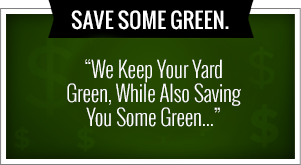 We offer weed control and fertilization, spring cleanups and scalping, leaf removal, sod installation, small shrub removal and planting, hedge trimming and shaping, flower bed maintenance, weekly lawn maintenance, spring cleanups, scalping, fertilization, leaf cleanups and lawns and landscape beds, gutter cleaning, seasonal flowers and mulch, holiday lighting, and of course no shoveling in the winter. There is literally no limit to what we want to do for your home. We are dedicated to the people of Tulsa and providing expert services. Our company is also committed to the Tulsa and to making sure that the community is in a good place. That’s why we donate five dollars to the school district of our customers choice every time we start a new project in the Tulsa area. This helps us not only beautify the lawns and homes of Tulsa citizens, but invests into the future by giving money to our school systems and making sure they are is good as they can be.